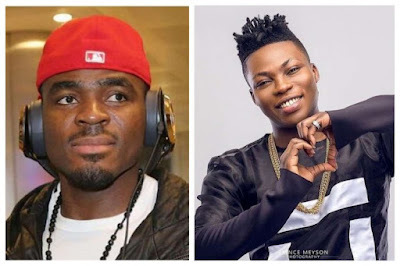 Nigerian professional footballer, Emmanuel Footballer Emenike, has called out singer Reekado Banks for disrespecting him in a social media post. Reekado Banks had written on the marriage of Nigeria ex Super Eagles striker Emmanuel Emenike and his wife Iheoma Nnnadi. The Olympiacos striker got married to the ex-Beauty queen in a fashionable event at Lekki, Lagos, and Reekado Banks accused Emmanuel Emenike of divorcing 2013 Miss Nigeria to marry his wife Iheoma Nnnadi who is Miss Nigeria 2014. However no one was certain about this accusation as it was not in the knowledge of anybody but it seems the post has met the bad side of Emenike, who as reacted angrily to the post. Miss Nigeria 2013 is yet to react to the accusation.